DO YOU WANT TO ENJOY A SUMMER IN A FOREIGN COUNTRY BUT ALSO IMPROVE YOUR RIDING SKILLS? THE HAZELHORST IS THE PLACE TO BE THIS SUMMER! 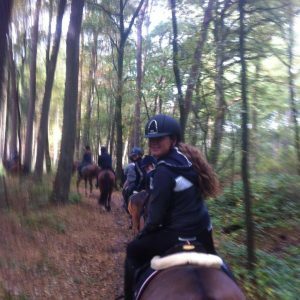 Each and every summer The Hazelhorst is the place to learn, enjoy, relax but also have the time of your life with other camp guests of your age who share the same feeling for horses and sports. Our team of qualified staff members has a lot of experience with foreign guests and make an individual program with goals at the beginning of camp for each person. Depending on the period of your residency which is normally between 2 and 3 weeks you will improve your dressage/jumping skills as much as you enjoy the relaxing and the time with your camp members. During camp we offer a several workshops, clinics and training sessions but also time to enjoy the nature by riding through the countryside in one of the national parks which are near to our accommodation. During the summer months we organize camps for a period of 8 weeks continuously. Based on the needs of our guests, we can make a custom made proposal for everyone. We accept children in age groups from 7 till 17 years old. During a camp period (one week) we accept a maximum of 30 guests. 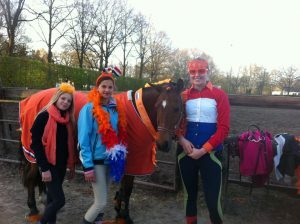 In consultation with our foreign guest we can provide transport from the airport (Schiphol, Amsterdam) to our stables. Our guests will ride twice a day; one dressage and/or show jumping training and one tour through the country side. The accommodation of The Hazelhorst lies directly next to a large national forest park with extensive riding possibilities. Every week we compose training groups of a small number of students, whose riding level and wishes correspond to one another. This because of the fact to give focused and interesting training sessions for all of our guests. All of the staff members who are teaching our guests during the camps are qualified to teach dressage & show jumping on basic level up to the very experienced competitive riders . Also the language skills will cause no problem, we have a lot of experience and so are our employees. The participants of our riding camps are obliged to wear safety helmets, suitable for riding. We also expect our guests to wear riding boots [or shoes with riding chaps] and trousers. Besides the riding lessons our guests are free to wear the clothes they feel comfortable with. We don’t use uniforms. Due to the weather in The Netherlands we advise to bring with you clothes for weather, varying from not to warm [18 degrees Celsius] to warm [30 degrees Celsius]. Which includes jacket, sweaters, long trousers, short trousers, t-shirts and rain clothing is also wise to bring with you. If necessary we also can do some laundry for our guests. If your riders will decide to visit our summer camp, we will provide them with a checklist of things required to bring with you. 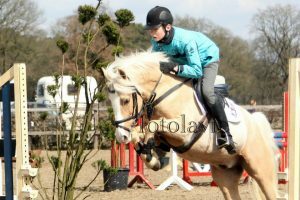 SIGN IN NOW FOR A EQUESTRIAN CAMP AT DE HAZELHORST. During camp our team will take care of breakfast, lunch and diner. Furthermore we ask the parents to give the children some pocket money for during the day, we sell some candy, lemonade and postcards. Sign in now or contact us for more information. Do you lover horses and equestrain sports? Dressage and/or show jumping? Devolop your talents. Become the best you can be, in equestrain sports. At Talent Traingscentre De Hazelhorst we can help you. Certified as a training centre by the Dutch Equestrain Sport Federation (KNHS), De Hazelhorst offers athletes top level facilities and support, including strabling, training, lessons, competition preparation an transportation of riders, horses and ponies. for regional, national and international competitions. De Hazelhorst offers quality equestrain sports and had developed an equestrain sport program specifically tailored to equestrain sport talents. There is a customized program for each trainee, that allows them to develop their talents and skills conforming to their level and wishes. We offer a training program, combining instructions, training, coaching and competitions. Aspiring equestrain athletes will be able to continue their athletic development and performances at the highest level. Wat neem je zoal mee? 06 jan 2017 Schrijf je nog in voor de leukste en leerzaamste week.